When ordering apparel, many corporations and sports teams will often go to a big, online company because they think it’s the easiest and quickest way. However, there’s always the risk of communication not going through properly and subsequently having the apparel turn out all wrong. Or worse, your order looks good when it first arrives, but after a wash or two the embroidery begins to unravel making your investment not worth it. If you’re located in the Twin Cities, we’re the answer to your apparel problems! Ordering through a local, small business helps streamline the whole process. The Classy Threads team is ready to take your orders through phone, email, or even in-person. We make sure to ask the right questions, so we know exactly what you want the first time. Overall, it allows us to have fast turn-arounds; especially since many of our clients choose to skip the timely shipping process in favor of delivery or pick-up. We offer a large variety of options such as shirts, caps, totes, uniforms, and more. Or, you can bring in your own items. There are no minimums either, so you order only what you need. We can match you logo. We’re experts at matching thread colors! Our attention to detail is one of the most important aspects of our services – we strive for quality products at achievable prices so everyone from corporations to school teams get amazing apparel. As a small business, we care about every order. If something doesn’t seem right, our experts can advise on changes that may need to be made to present the best product. 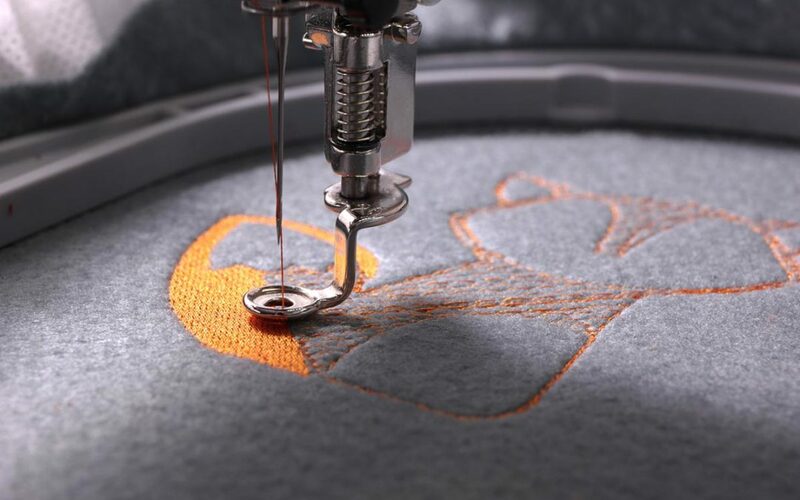 Embroidery or silkscreen, we make sure your order looks amazing! Contact us today to see how our team can improve your apparel.